With the winter right around the corner, you should know that your plants will need extra care. You will be moving your outdoor plants inside your home so the climate changes for them too, not only for us. Thus, it is safe to assume they will need an adjusting to their conditions. 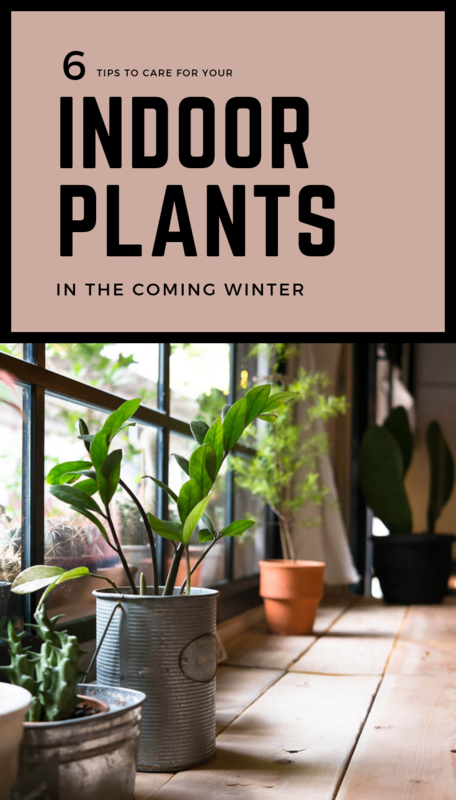 However, if you are a beginner or don’t know exactly how to care for your plants in winter, check this out. Keep reading and see 6 tips to keep your indoor plants happy in the coming winter. Plants don’t really need much water in the winter. They all tend to go dormant in this season, especially if they are those plants that grow outdoors in summer. Thus, moving from that bright light into a home with lower lighting and lower temperatures, means they don’t need too much water. Because the plants will often experience rain, fog and mist, when you move them indoors, you change their climate. Thus, the air from your house is dry so you need to give them a little mist every few days. They also need to receive humidity and for this, you can make a little project. Using a low-sided tray, place a shallow layer of pebbles. Then, add water to the height of the pebbles and set the plant pots on pebbles. Lastly, place the tray in a warm sunny spot. Just as watering, you should also stop fertilizing, for the exact same reason. They will go dormant in the winter and won’t need too much fertilizer. When it comes to temperature, it should mimic the outdoors conditions. Thus, make sure you turn the heat up high during the day, then way down at night. Last but not least, to mimic rain, make sure you give them a bath once in a while. In the case of smaller plants, you can do it in the sink using a sprayer. Larger plants can go into the shower directly. Also, do not forget to always wipe their leaves using a damp sponge.